When used with EOS bodies featuring APS-C or APS-H sensors, the lens produces a more traditional, full frame fisheye view. 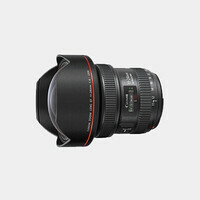 A zoom-lock mechanism on the lens body allows the range to be limited to the focal length that ensures the best possible full-frame view without unsightly vignetting around the edge. 'C' and 'H' markings can be found next to the zoom operation ring, indicating the wide-angle zoom position where vignette-free shooting is possible with either sensor. 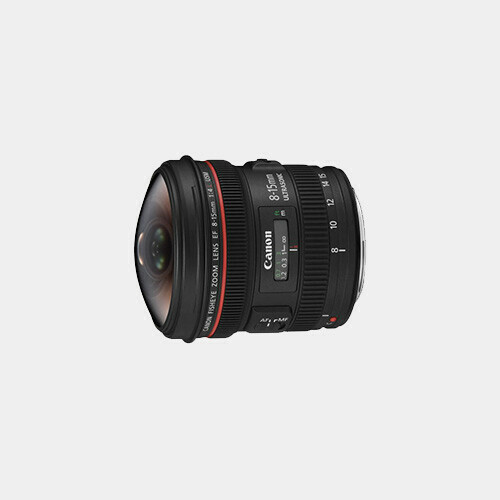 For filmmakers and photographers who want the look and feel only possible with extreme wide angle and fisheye photography, the Canon EF 8-15mm f/4L Fisheye USM is a great choice.